Acadia Shutters & Blinds, Inc. Proudly serving Atlanta, Nashville, & Charlotte, Acadia Shutters focuses on bringing customers exceptional service while keeping prices highly competitive. But don’t take our word for it. Read our reviews on Houzz, Yelp, Google, Facebook, and more....all from real customers. With over 500 5-star reviews & 15+ years of experience, we can confidently guarantee that you'll receive Acadia's award-winning service and high-quality custom product. Because we're locally based, we're unique in that we offer FREE in-home consultations with a design specialist bringing the showroom to you. Typically scheduled within 1 business day, your personal consultant will bring samples, take accurate measurements, and provide you with an instant quote...not an estimate. Your window treatments will be installed by Acadia employees, not subcontractors, which guarantees high-quality work, accountability, fully insured installers, and nothing less than excellent results. Schedule your FREE consultation today and let us show you Acadia's award-winning service. Full service Interior Design and Custom Drapery/Window Coverings. We treat windows with a careful consideration to your unique conditions providing privacy and protection, comfort and beauty. We'll help you make decisions in terms of style, color, fabric and hardware. Assistance in selecting and purchasing interior decor furnishings with the wide range of furniture choices, area rugs, accents and accessories. Creative Blinds & Decor was founded in 2003 by Connie Valente. 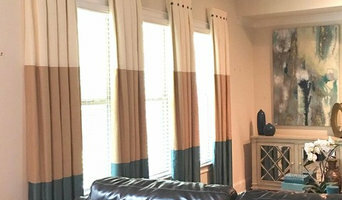 We provide unique and personalized designs for your home and office spaces creating functional and appealing window fashions and furnishings. Our goal is to help you create the decor you dream of while enhancing and transforming your environment. We furnish custom window decor, draperies, bedding, and upholstery. Our objective is to assist you in your selections of the best suited window coverings for your projects and for the perfect fabrics for your draperies, pillows, cushions, bedding, and upholstery. We love to share with our clients the latest trends in home fashions as we enrich our expertise in frequent educational seminars and classes across the nation. Our goal is your satisfaction and we strive to exceed your expectations. 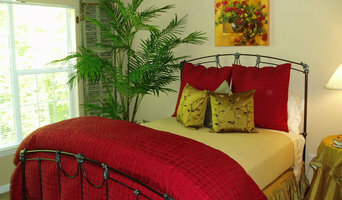 Janis Stops has been in the business of custom interior decorating since 1989 and has owned her own company since 1994. After receiving a fashion degree from Bauder College she has worked with various trade groups in continuing education. Janis is an active member of both the National and Atlanta Chapters of Window Coverings Association of America and Designers Workroom Council and has been published in the November 2008 issue of Atlanta Homes & Lifestyles magazine. Over the years she has built up a wide range of clients in both commercial and residential markets. She takes pride in working one on one with her clients in creating their unique look while working within their budget and time frame. She uses professional workrooms and installers to insure a truly custom job. You can count on her from conception to completion of your project. Janis takes great joy and pride in providing the BENCHMARK quality of products and customer service. We are a certified Hunter Douglas Alliance Dealer serving the North Atlanta metro area, working with both with the trade, interior designers and architects, and the discerning homeowner in providing beautiful window coverings. We are a full service drapery and soft furnishings design studio and workroom serving greater Atlanta home owners and Interior Designers. We are proud to specialize in exquisite quality draperies, valances, cornices, roman shades, pillows, bedding ensembles and more. We have over two decades of commercial and industry trade experience encompassing design and fabrication. Don't discard old heirloom fabrics or clothes let us help you make something for your home to keep and cherish for years to come. We specialize in "making your home beautiful one room at a time". Let us help make your home your castle. Since 1984,, we have successfully provided custom interior plantation shutters and blinds to the Atlanta area homeowners, designers and builders. We strive to provide the best quality shutter- while giving personal attention and care. 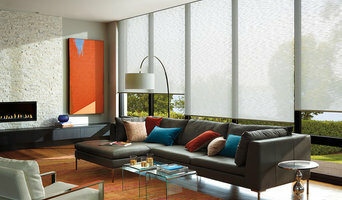 As a certified Hunter Douglas dealer, we can also provide a wide variety of shades and blinds. With our experience and up-to-date knowledge in the industry, we can also customize your window coverings with motorization, allowing control from any hand held device. Our 30+ manufacturing facility and showroom is located in Decatur, Georgia, however, we serve the entire metro area and beyond. We aim to please and our sucessful 30 year history proves just that! We do free on-site measurments and consultations, providing you with samples of style and function. We are a full service custom workroom providing everything from design consulting to fabrication and installation. We will work with your designer, or provide design services. Fabric, hardware, and shutter options are available for purchase. We will also work with fabric and hardware that you purchase. A challenge is always welcomed, but no job is too small or too big. We ship nationwide.